The holidays are just around the corner and maybe you’re looking for audio gift ideas for that special sound-person on your list. Or maybe while you’re shopping you might want to get yourself something without breaking the bank. 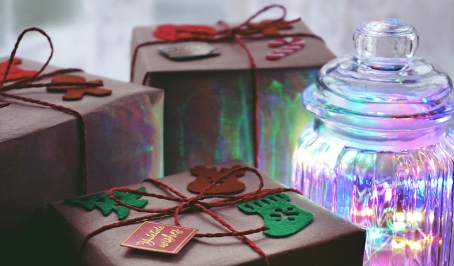 Here’s Doddle’s holiday gift guide 2018 for audio and sound. Zoom really built its reputation during the DSLR video boom with the H4n but sometimes you need a few more inputs. They hit the market with their 8 XLR/TRS input Zoom F8 in 2015 but upgraded it this year with the Zoom F8n. It has all the bells and whistles of it’s predecessor but has some cool new features. It will allow you to record simultaneously to an SD card and to your laptop via a USB for use when livestreaming or as file back-up. It also sports a new feature called AutoMix which adjusts the levels of your mix automatically to reduce the amount of ambient sound your capturing. 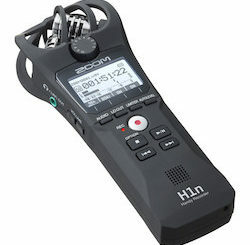 If you need a more affordable field recording option you could get the aforementioned Zoom H4n for about $220. However, Tascam makes a very comparable device called the DR-40 that features the same built-in stereo mics as well as XLR/TRS hybrid inputs. It records WAV up to rates of 24-bit/96 kHz and MP3s up to 320 kbps. While were talking about recording, we should highlight the RØDECaster Pro. This is a recording device designed by RØDE for podcasters and it has some very cool and very specific features with that in mind. It has four preamp XLR inputs and Aphex audio processing to give the presenters fuller and more professional sounding voice. It records to both an SD card and a computer simultaneously through a USB port. Eight assignable buttons are located on the device as well which allows you to preload sound effects or music that is accessible at your fingertips. 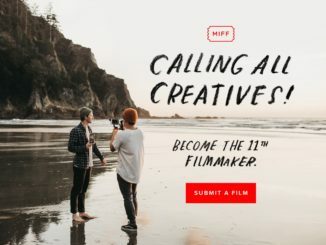 My favorite feature is actually the ability to plug a phone directly into the recorder via an 1/8″ minijack or bluetooth which allows you to record over the phone interviews or add music from a playlist. The USB can also do the same which gives you a lot of latitude. We’ve had a chance to get our hands on the RØDECaster Pro so a more in depth review will be coming up shortly. Lavs can get very, very expensive so if you can spring the cash for a Sennheiser ew 512P you should really go get one. But for those of you who are on a bit of a budget, the Saramonic UWMIC9 will give you some pretty good bang for your wireless buck. The receiver features 96 channels and can receive signals from two different lavs. This allows you to mic two subjects at the same time from 330 feet away which is comparable to the Sennheiser. No audio kit would be complete without a good shotgun mic. Aputure spun off their audio department into a focused company called Deity and launched the second version of their super cardioid shotgun mic. Like the previous version, the Deity S-Mic 2’s circuitry features the same epoxy coating which makes it water resistant and a solid brass body and all for under $500. Even better, spring for the add-on kit which comes with a pistol grip holder, shock-mount, and dead-cat windjammer windscreen. Wind is a sound person’s worst nightmare on location. Rycote has made a great blimp called the Super-Blimp NTG which, as the name suggests, works well with the RØDE NTG series of mics. The Super-Blimp features a dead-wombat (the UK name for a windjammer) and an adjustable Lyre suspension mounting system which is an upgrade to the old elastic based suspension system. And don’t let the NTG moniker throw you off, the Super-Blimp accommodates most shotgun microphones 325mm in length and 19-22mm diameter. There are a whole host of other audio hardware that I could suggest but these are the newest toys out there at great prices. If I were starting from scratch, I’d scoop up all these products to get a functional kit going quickly. For more ideas, you can check out our camera gear and video editor gift guides or even some other ideas from last year.